One of four accused criminals who posed as gay men on Grindr to set up home invasions was sentenced this week to 15 years on hate crime and other charges including kidnapping, carjacking, and use of firearms in the commission of a crime, the Tyler Morning Telegraph reported. When Garrett and the other men entered the victim’s home, they tied the man up with tape, beat him up and made derogatory statements to the victim for being gay. The armed men also stole the victim’s property and his car during the home invasion. The indictment also said the defendants posed as gay men on Grindr and conspired to assault the victims during four home invasions between Jan. 17, 2017 and Feb. 7 in Plano, Frisco and Aubrey. The indictment said the men committed the crimes because of the victims’ sexual orientation. According to CNN, the remaining members of the group could face up to a $250,000 fine and life in prison. The use of dating apps to target people for crime is nothing new—sexual assault is the primary concern, though online dating can potentially expose users to malicious parties of all kinds. The problem is, as Quartz noted earlier this year, while the risk may be relatively low and apps like Tinder and Grindr may be no more dangerous than other ways of dating, there’s virtually no statistics or research to quantify how safe it is. Research has also shown the apps in question are often not particularly secure and riddled with potential exploits that could reveal personal information. 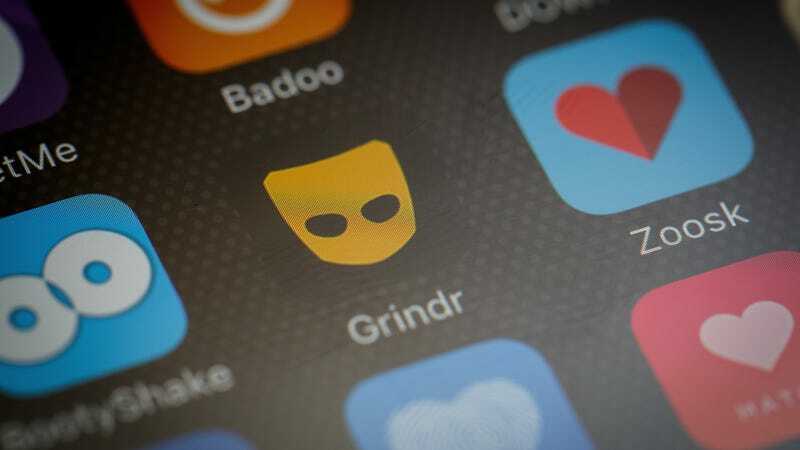 As TechCrunch noted, an app like Grindr can be used to easily obtain the location and details of a potential victim, though they also leave behind trails of evidence. In this case, the trail of digital evidence left no doubt as to whether the attacks were hate crimes.